Auction Mercial, the Web-based video creation service, announced its two millionth Auction Mercial, an Internet video infomercial created using Auction Mercial’s fast, easy-to-use online video creation website. The two millionth Mercial features a $29,000 Dresden Porcelain Mirror being offered at GoAntiques.com. Applying the communicating power of Mercial videos to the diversity of items for sale from e-commerce leaders like GoAntiques creates a win for Sellers and consumers. It may well alter the consumer-facing elements of e-commerce as we know it. Auction Mercial (http://www.auctionmercial.com), the Web-based video creation service, announced its two millionth Auction Mercial, an Internet video infomercial created using Auction Mercial's fast, easy-to-use online video creation website. 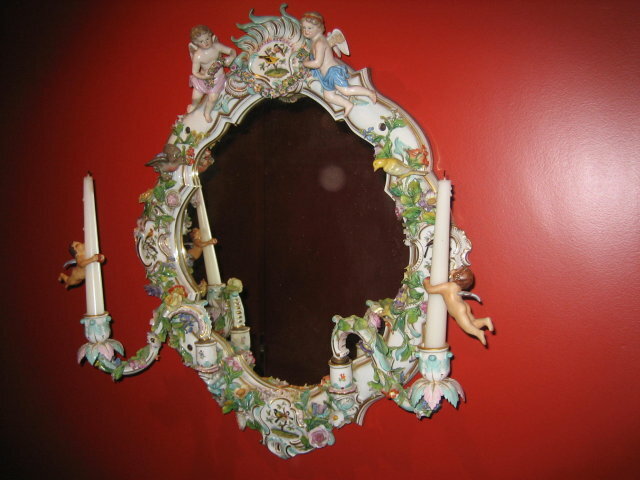 The two millionth Mercial features a $29,000 Dresden Porcelain Mirror being offered at GoAntiques.com. "Two million Mercials is a significant milestone," said Mike Behnke, Auction Mercial president, "and the potential for Mercials in support of e-commerce is just beginning to be recognized. It's nice to see the bigger players like GoAntiques testing Mercial videos as a more effective way to communicate information to their customers." "We are thrilled that Auction Mercial's two millionth Mercial was an item from GoAntiques," said Jim Kamnikar, President and CEO of GoAntiques.com. "We have long believed that convergence of technologies online would enhance the user experience, especially when it comes to e-commerce. It took Auction Mercial's vision and perseverance to create a service that is easy to use, compelling to watch, and that can create significant ROI for its users. Providing services like this to our members helps to maintain our leadership role in the Art, Antiques, and Collectible industry." Video offers more communicating power than print since it presents a more engaging experience for the viewer. But creating a video has always been time and cost prohibitive. Auction Mercial's automated video creation services change that. Sellers easily create a Mercial by providing the pictures and text description they already have for an item. Their Mercial is created automatically, usually in less than 30 seconds. If that isn't easy enough, for eBay Sellers, it's even easier. As an eBay Compatible Application, Auction Mercial imports pictures and descriptions directly from a Seller's eBay listings. "We've really lowered the barrier for adding video in support of e-commerce," said Behnke. "The technical headaches and cost issues typically associated with creating and adding video are gone. Auction Mercial automates the video creation process and removes the time and labor cost constraints." Auction Mercials, currently a free service for eBay Sellers. Auction Mercial video creation services are currently free to registered eBay Sellers. As an added benefit, Sellers' Mercial videos are also displayed on the company's MercialShopper website (http://www.mercialshopper.com), the Web's first video shopping catalog. MercialShopper is designed to drive traffic and sales to Sellers' auctions or retail websites. "Two million Mercials is just the beginning," according to Behnke. "Applying the communicating power of Mercial videos to the diversity of items for sale from e-commerce leaders like GoAntiques creates a win for Sellers and consumers. It may well alter the consumer-facing elements of e-commerce as we know it." Headquartered in San Diego, California, Auction Mercial provides easy-to-use, automated, high-quality online video creation services. Sellers easily create Internet Infomercials using pictures, text descriptions, and, optionally, recorded voice files without purchasing special hardware or downloading and installing software. Auction Mercial is certified by eBay as an eBay Compatible Application and is a member of eBay's Developer program and Affiliate program. With offices in Columbus, Ohio, GoAntiques, Inc. (GoAntiques.com) is the largest and only virtual marketplace for art, antiques and collectibles offering an integrated, one-stop solution for storefront and live auction selling plus a host of marketing services for both dealers and buyers. GoAntiques has developed a distribution network providing art, antiques and collectibles to Yahoo Shopping, Froogle and BobVila.com, as well as eBay Live Auctions. GoAntiques also offers a Wholesale Channel for member dealers looking to sell and source quality merchandise at wholesale prices. GoAntiques.com offers more than 450,000 items from more than 1,800 dealers in 29 countries. GoAntiques.com logs 1 million visits and thousands of transactions each month. More than 250,000 people are registered as GoAntiques.com buyers. $29,000 Dresden Porcelain MirrorAuction Mercial Completes its Two Millionth Mercial with $29,000 Dresden Porcelain Mirror from GoAntiques.com Auction MercialAuction Mercial logo.